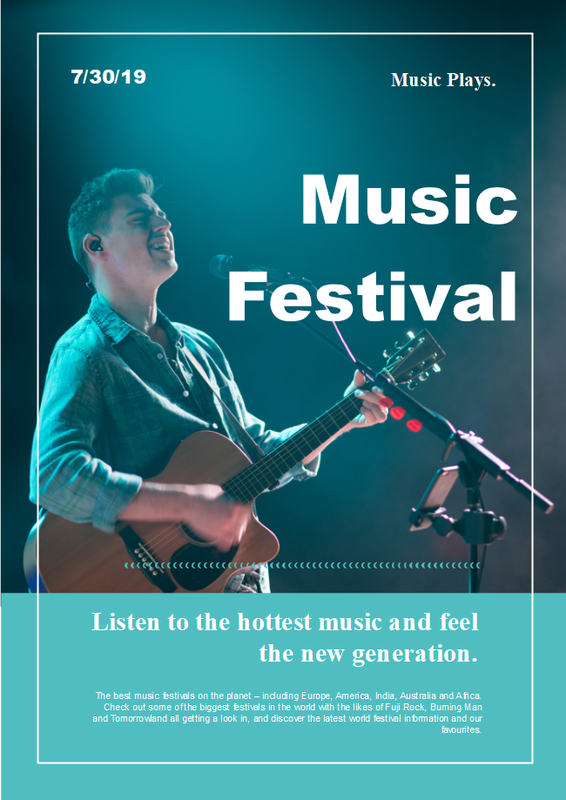 Description: Design a music flyer with this pre-made music festival flyer template from Edraw. You only need to re-layout the template freely according to your specific requirements. Feel free to download and customize the flyer right now.